At the start of the 2012 10in10 challenge for MS at the Swinside Inn in the Newlands Valley, Cumbria. The annual 10in10 challenge was designed and created by Yvonne Booth in 2011. It was her response to her husband Duncan’s diagnosis with Multiple Sclerosis in 2010. As a wife and mother of three sons, she wanted to do something positive and help raise money for research into this cruel illness. Multiple Sclerosis is a debilitating neurological disease with no cure. Every June, hundreds of people walk over ten mountains in ten hours or five mountains in five hours. 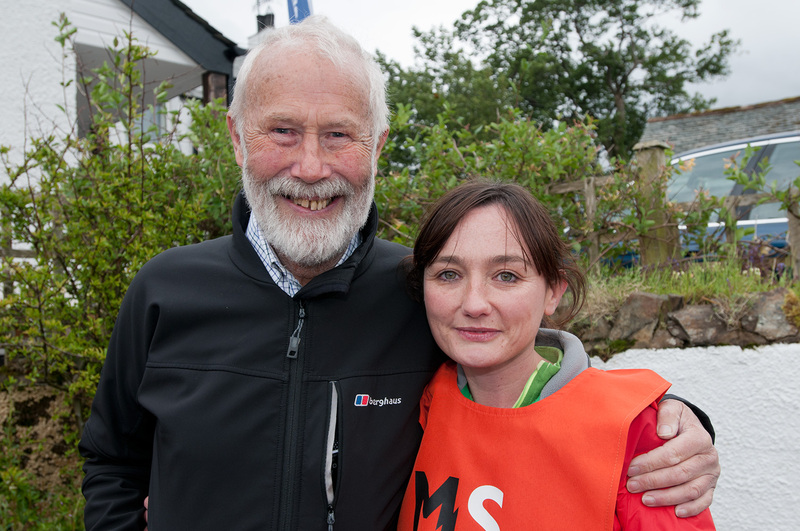 Walkers are sponsored to take part – so far they have raised a magnificent £169,000 for research into Multiple Sclerosis.